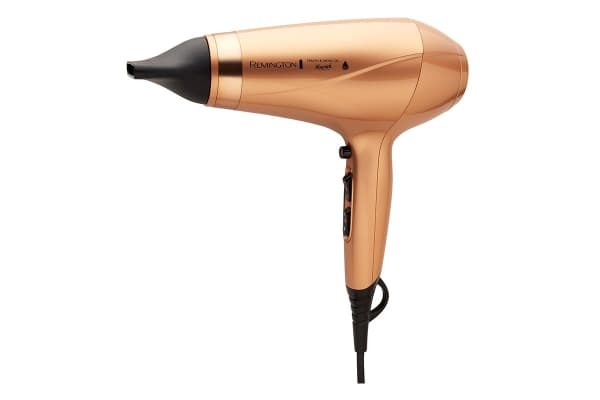 The Remington Keratin & Argan Oil Nourish Hair Dryer features an innovative conditioning ring that releases Keratin and Argan Oil micro-conditioners for beautiful, strong, healthy and shiny looking hair. 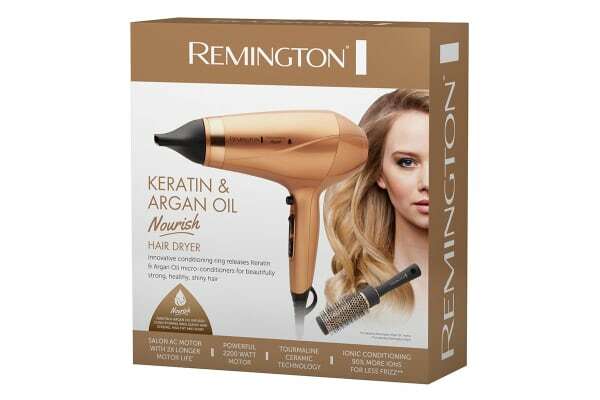 The Remington Keratin & Argan Oil Nourish Hair Dryer features Conditioning Ionic Technology, which releases more number of ions to hair and seals in moisture for frizz-free shine. 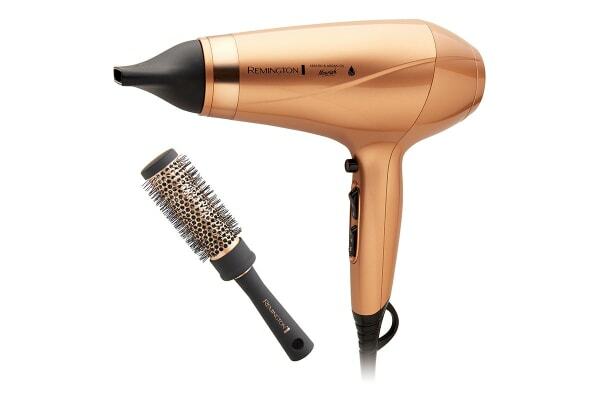 Also, the Tourmaline Ceramic Technology reduces frizz and creates a smooth and shiny finish.